As a kid I wanted to be a comedian. It was going to be Jerry Seinfeld and me (and not necessarily in that order). We would open for each other in clubs across America, living the life reserved for upper echelon talent of the humorous type. 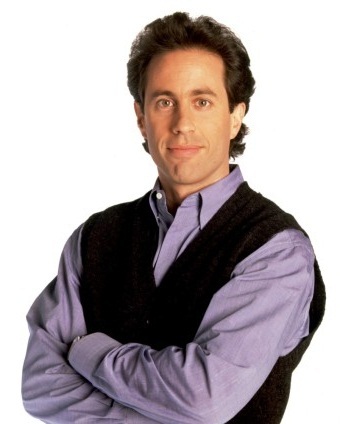 I might even get a television show out of the deal, one where I would visit Mr. Seinfeld’s apartment as if my name were George, or Kramer, or even Elaine. But comedians aren’t quite a dime a dozen. The good ones have a shtick. They have timing. They have a subtle humor that can’t be taught. It just is. And I don’t have that. I have a good work ethic, and I can learn the jokes. I can get the timing. But my humor will never be subtle. It’s definitely quirky, and I think well on my feet, but I just wasn’t made for the club scene, to travel the country endlessly to hopefully get paid enough to survive from day to day. What I am is a guy who can think quickly on his feet, who has a biting wit that takes some time to sink in, and who doesn’t take well to criticism. I’ve been working on that last thing. I’m a regular guy with a sense of humor that is an acquired taste, and I could do whatever I set my mind to, but in the end I decided it wasn’t for me. I can still be funny at home, and with friends, and in sarcastic emails, but my career was never going to be a comedian. Sorry, Jerry Seinfeld. You missed out.